Compared to 3D printing, there are some serious considerations. Inherently, milling produces waste, which can become airborne if some type of dust control is not present. This is why reputable machining shops use appropriate equipment but also have firm quality control checks in place. Something else to consider with precision CNC machining in the form of milling is that it can be dangerous. Although a milling machine operates automatically by following commands or codes generated by an internal computer, there is still human interaction. In addition, there is risk of a milling machine catching fire or danger from a blade that rotates at 20,000 rpms. 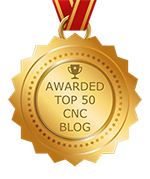 For this reason, only a highly skilled professional is allowed to operate CNC machines. Another big difference between 3D printing and precision CNC machining has to do with size and weight. Overall, machines outweigh 3D printers and they are much larger. For that reason, a shop must have adequate space to accommodate so processes can be completed easily but also efficiently. The preparation of software used for precision CNC machining tends to be more complex for milling machines and other types of machinery. For this, once an object is drawn, tool paths have to be generated with Computer Aided Manufacturing (CAM) software. This involves entering very specific locations and dimensions of the material being machined, as well as axes and spindle speeds and characteristics of the cutter. When making a comparison between 3D printing and precision CNC machining, the latter is more complex but the technology is sophisticated and therefore, the outcome superior.